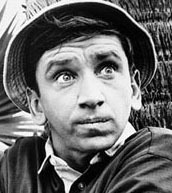 Bob Denver, the actor who played Gilligan on the 60's TV show has died. A secret desire of mine has been to make the Gilligan's Island movie. Not as a comedy, but as a serious drama exploring the dark and twisted reality of what would happen if those seven people were stranded on that island. In my version Gilligan would have been the last alive and the most diabolically insane. If there are any studio's interested, I'm taking meetings.